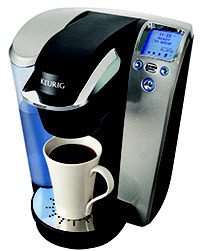 CoffeeCow Blog - Keurig, Tassimo & All Your Favorite Coffee Products! Receive a Coffee Brewer as a Gift? You can also shop by roast on our K-Cup page! You can also shop by roast on our Pod coffee page! Lavazza: A variety of coffee from this Italian company can be found in their Espresso Point capsules and BLUE capsules! CoffeeCow hopes the very best to you and all our loyal fans. Nobody knows what the future holds, but we know one thing – there will be coffee, lots of coffee. Coffee Jewelry: If you didn’t know, coffee jewelry is a thing. If you have the time, you can even try a coffee jewelry DIY project! Who doesn’t love a matching earring and necklace set made of coffee beans? What about a ring that expresses your true love – coffee? If these ideas aren’t grabbing your attention as the perfect gift, simply perform an image search for “coffee jewelry” and plenty more ideas are sure to flood your computer screen. Coffee Recipes: If your coffee lover also loves to cook, how about a coffee recipe book? A whole book chock full of recipes using the ingredient they love the most – COFFEE! Coffee Gadgets: Consider giving your gadget-lovin’ coffee drinker a fancy electronic device like a coffee mug warmer for the home or office. A gift like that is sure to show the coffee enthusiast in your life that you’re really thinking of them! Need more ideas? 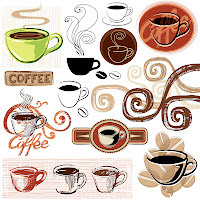 Browse CoffeeCow.com today! We love to discover new ways of beating the morning blues at CoffeeCow.com, and what better way than with a hot, delicious cup of coffee in your hand? It’s like giving those morning blues a karate chop – HI YA! So, change into your karate gear (or just watch The Karate Kid movie) in preparation because today we are reviewing a coffee dedicated to mornings, Diedrich Morning Edition Blend Coffee. 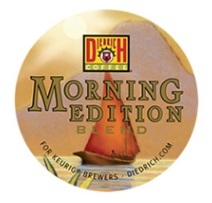 General Information: Diedrich’s Morning Edition Blend Coffee is a medium roast Arabica coffee. Each box contains 24 single serve cups for use in your Keurig machine. The Test: Diedrich Morning Edition Blend Coffee – check. Keurig brewer – check. An “I heart coffee” mug – check. Time to brew! Yum – a pleasing aroma fills the room as freshly brewed coffee pours into your mug. Upon first sip, you’ll find this medium roasted coffee has a well-balanced acidity and creamy, full bodied mouth feel. Each subsequent sip has a smooth, clean taste with sweet vanilla and hidey (or leathery) notes. The Result: On a scale from 1-5, we rate Diedrich Morning Edition Blend Coffee K-Cups a 5. This coffee has a nice karate kick for any time of day! 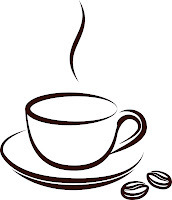 Visit CoffeeCow today and view our selection of Diedrich Coffee K-Cups. Sometimes we say things without following through on them. We’re all guilty of this from time to time (or all the time), and this seems especially true when it comes to us – taking the necessary time needed for us to maintain a healthy lifestyle, successfully manage a household, feel relaxed and just generally enjoy life. Which brings us to our point: Make yourself a priority in your life, today! Even if it’s just a moment of your day, take that moment because it will allow you to regroup in preparation to take on the world. We agree with Ora Nadrich, a Life Coach who recently wrote an article about using your cup of coffee as meditation/relaxation time. Step #1: Make your favorite cup of coffee, just how you like it. It’s all about you, at least for the moment! Step #2: Take your coffee to a comfortable and quiet place. Step #3: Sit down, close your eyes, take a sip of coffee and clear your mind. Only think of your coffee – the aroma, warmth (unless it’s iced, of course) and taste. Step #4: Do NOT get up from your chair until your coffee is no more! If you follow these 4 simple steps first thing in the morning, your day may take on a whole new attitude. Visit CoffeeCow.com to add this coffee relaxation technique to your life (and your coffee arsenal) today! Is coffee famous? We think so! Think about it – “Coffee” is a household name, everyone knows who “Coffee” is and Coffee’s presence is everywhere, all at once. Besides our very own famous CoffeeCow, we decided to make a list of other evidence supporting coffee’s fame. Do you sometimes feel like you drink so much coffee, it could be your middle name? Well, what if it were your last name? Look at General Hospital actress, Claire Coffee, or famous hockey player, Paul Coffey! Speaking of coffee places, there’s a famous coffeehouse named “Café Procope” in Paris, and it's not your regular Starbucks. This coffeehouse was established in 1686 and still exists to this day! Famous people in history frequented the Café Procope, like French writer/philosopher/playwright Voltaire. Not only is this café a piece of history, it’s also a coffeehouse that’s been around for 326 years – they definitely know what they’re doing when it comes to coffee. With that being said, adding this attraction to your Paris tour agenda is a must! Coffee ought to be (& is) in pictures! Here’s a clip from 1983’s Sudden Impact. Dirty Harry (played by Clint Eastwood) has the same cup of coffee every day and has been for the last 10 years – a large black coffee, no sugar. Unbeknownst to him, the diner where he makes his daily coffee trip is being robbed! As a cry for help, Dirty Harry’s waitress pours so much sugar in his coffee that he knows something is wrong with the very first sip and comes back to save the day…him and his partners Smith & Wesson. Another coffee appearance takes place in The Bucket List, when Carter (Morgan Freeman) breaks the news to Edward (Jack Nicholson) about the expensive Kopi Luwak coffee he loves so much and how exactly it’s made. They get a good laugh, even laugh until they cry. Ever feel like singing about coffee? You’re not alone. Shortly after The King Sisters rendition of “Java Jive,” Ella Fitzgerald passionately sings “Black Coffee” in 1948. Ella’s black coffee seems to be the only thing keeping her company in the lonely, wee hours of the morning. We’re pretty sure most people can relate. So, there you have it. The evidence has been presented and this list is only just scratching the surface. Visit CoffeeCow.com today to celebrate coffee and what it brews for you. It’s that time of year when consumers hit the retail stores to take advantage of the best sales. If you’re thinking of going shopping this week, remember to bring a great-tasting cup of coffee along for the ride. That cup o’ joe could go a long way and may even motivate you to stick in there in moments of doubt – you know, when you’re standing in long, never-ending lines or fighting to the death for that last item on the shelf. In a sense, the perfect cup of coffee could potentially help you save a substantial amount of moo-lah. At CoffeeCow, we’re always on the lookout for the newest and greatest coffee on the market. That’s why we’re inviting you to take a trip with us today! We’re headed to Rio de Janeiro, Brazil where we will get acquainted with Diedrich Rio Blend Coffee K-Cups. Let’s see if this K-Cup lives up to its South American roots. 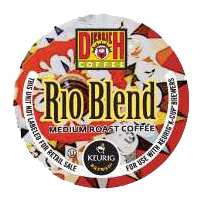 General Information: Diedrich’s Rio Blend Coffee contains 24 single serve cups per box for use in your Keurig machine. The Test: After mentally preparing for our mini-vacation, we popped a Rio Blend K-Cup in our Keurig and were pleased within moments. The aroma alone is enough to get your mouth watering, as it’s almost chocolate-like! With that said, letting the coffee cool down before sipping is highly recommended. Upon first sip, this medium-roasted coffee speaks for itself. Rio Blend is sweet with hints of dried fruit and has a pleasant mouthfeel. This java is just right – not too strong, not too weak, but perfection in a K-Cup. The caffeine boost you get is, in a word, GRAND! The Result: On a scale from 1-5, we rate Diedrich Rio Blend Coffee K-Cups a 5. Try this coffee black or with cream – it’s tasty any way you have it. Visit CoffeeCow.com today and view our Diedrich K-Cup selection. What If We Killed the Joe & COULDN’T Make Some Mo’? There’s a sidesplitting skit you may have seen floating around YouTube of a football player who has stolen the hearts of coffee lovers and office workers everywhere. Terry Tate is known as the “Office Linebacker” and handles crimes of the office. You see a man in the act of committing a cardinal sin – he has just finished off the coffee and (gasp!) walked away without making a fresh pot, even ignoring the sign that politely asks drinkers to make another pot when they finish off the coffee. Terry knocks the man down and proceeds to point and yell in his face, exclaiming “You kill the Joe, you make some mo’!” Seems like only the considerate thing to do, but what if you simply couldn’t make more? 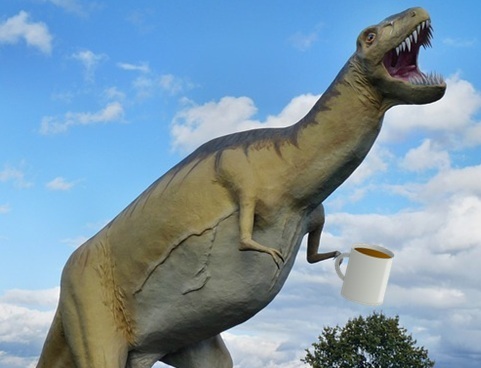 Could coffee go the way of the dinosaurs? Can you imagine NOT having your first cup of coffee in the morning? If coffee was no mo’, what in the world could replace it? Check out the news story on the extinction of coffee. Recent studies (conducted by Researchers at the Royal Botanic Gardens in Kew and the Environment and Coffee Forest Forum in Addis Ababa, Ethiopia) suggest coffee’s extinction IS possible! The culprit? Global warming. If global warming continues on the destructive path it’s on, there’s no telling the devastation it will actually cause. Scientists can only speculate what is to come and they say that one of the victims of global warming could be the Arabica plant. The theory as it stands now is that, in about 70 years, coffee will be extinct. How is that possible? Arabica plants are weak in a sense, as they are highly susceptible to changes in climate, insects and disease. Scientists say that a climate change due to global warming will eventually cause the vulnerable Arabica plants to dry out and die off by the year 2080! While this is the worst-case scenario, even the best-case scenario shows a reduction in land that will be capable of growing the Arabica plant. If coffee’s extinction is eminent, hopefully we’ll concoct a worthy replacement. If not, we may have more of a problem on our hands than we think. Just imagine your zombie-self in the morning before you have had your first cup of coffee and multiply that by all the coffee drinkers in the world...this could be catastrophic. Jokes aside, this is even more of a reason to recognize global warming as a viable threat and take measures to care for the environment proactively, hopefully reducing the risk of worst-case global warming conditions for future generations. For the time being, anyway, CoffeeCow and its Fans are safe, sound and able to make a fresh cup of coffee with every K-Cup or other single serve portion packs. Single Serve Coffee & Brewers: Who doesn't love convenience? Brew a delicious, gourmet cup of coffee in under a minute with single serve coffee brands & brewers. We know that your loved ones will appreciate the gift - not only of the coffee, but of the time it will save them. Check out the Keurig starter collections we carry at CoffeeCow.com. CoffeeCow Cow Wear, Pantry & more! If you know someone in your life is a CoffeeCow Fan, why not browse our Cow Wear selection? We also carry pantry supplies, including delicious coffee flavorings, candy, bulk items & more! Gift Certificates: Unsure what to get the special coffee-lover in your life? 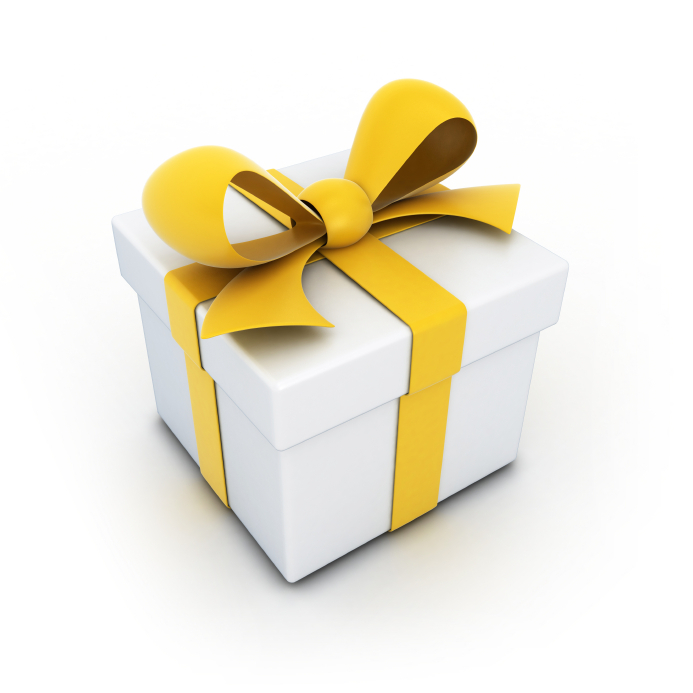 A CoffeeCow Gift Certificate may be just what you need! Our gift certificates are good for any purchase and we have a large variety of coffee, brewers and other products to choose from. Whether you’re in pursuit of a gift for the coffee enthusiast in your life, the person that has everything or even for yourself, make sure to add CoffeeCow.com to your shopping list. Free shipping for Cyber Monday, stay tuned for more details! Black Ivory Coffee - for the Coffee Enthusiast or Extremist? Been to the zoo lately? When you think of elephants, you probably think of safari adventures, a daytrip to the zoo or maybe a thrilling evening at the circus. Thanks to The Anantara Hotels, Resorts and Spas, we can also think of coffee. Why? Because they serve a specialty coffee called Black Ivory, brewed from naturally refined beans. 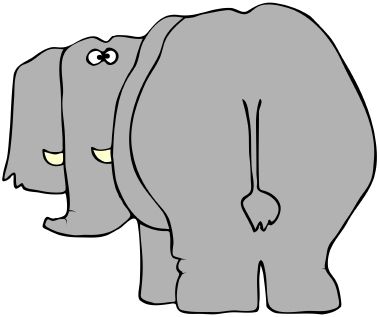 In fact, you couldn’t get more natural than this, considering the refining process is feeding elephants Thai Arabica coffee beans and waiting for the beans to – erhm – come back out. All poop jokes aside, this newest animal poop coffee craze, along with the 2010 introduction of “cat poop coffee” or Kopi Luwak, got us thinking – how far would you go to try the best, most expensive coffee on the market? Do you think coffee enthusiasts everywhere are clamoring to get their hands on a cup of this java or is it the extremists looking for the next fad? Advice from your friends at CoffeeCow.com – if you’re looking to try a sip of this coffee, just be careful who you purchase it from as people have been known to sell faux Black Ivory coffee. It’s no wonder why since the real deal sells for about $50 a cup and $1,100 for just two pounds! If Black Ivory ever comes out in a K-Cup, we’ll be sure to let you know. For now, check out our current K-Cup selection today! What is coffee cupping? Are there people out there who drink coffee on a professional level? Coffee cupping, much like wine tasting, is the art of tasting and describing different types of coffee. This procedure can be done informally by anyone at anytime, anywhere. Nowadays, the coffee cupping procedure is considered standard industry practice. At CoffeeCow.com, we enjoy helping our customers decide on their coffee purchase with our coffee tasting reviews. It’s especially helpful when you’re looking to try a new coffee blend or roast, as we’ll cover coffee characteristics such as aroma, “mouthfeel” and (of course) taste. There’s an app for that! The coffee cupping app has been available since 2010 for iPhones and iPads. It’s said to be an intuitive app, allowing you to record the different types of coffee you taste throughout your day. The coffee cupping app specifically records all the characteristics of coffee so that you can store the information for future reference. One more thing – they DO exist! “Master Tasters” are professional coffee tasters. Whether you consider yourself a professional “Master Taster” or just the average Joe who loves a cup o’ Joe, CoffeeCow encourages you to take a stab at the art of coffee cupping! Happy National Coffee Day from CoffeeCow! National Coffee Day is September 29th and we’re celebrating! Enjoy free FedEx Smart Post shipping September 28th – 30th on any size order. All you need to do is enter promo code COFFEEDAY when placing an order to take advantage of this offer. 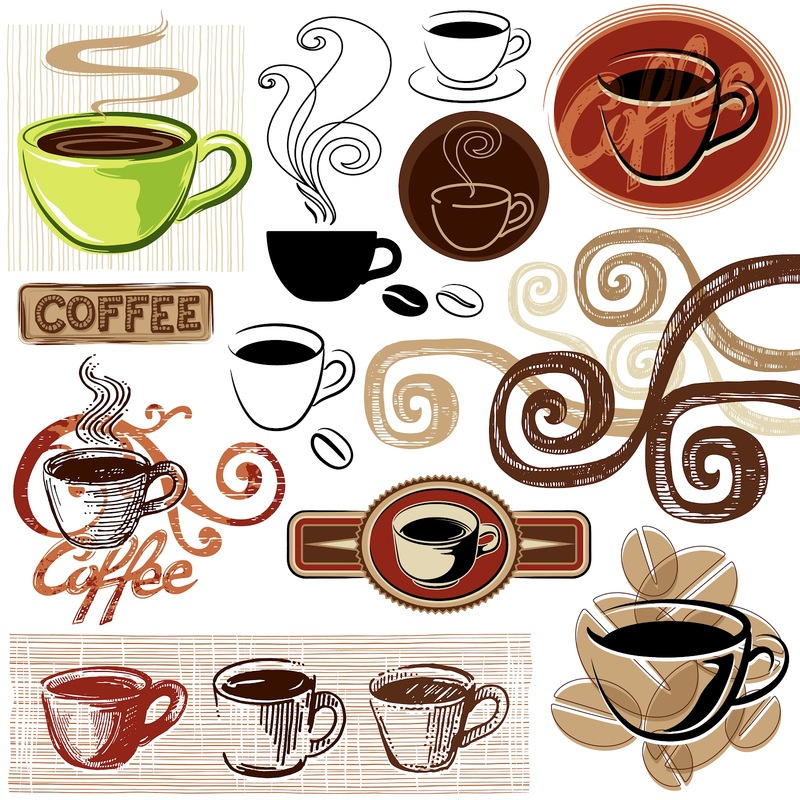 Speaking of National Coffee Day – what is the origin of this holiday and what do others do to celebrate? Did you know National Coffee Day is actually International Coffee Day? Celebrated annually with e-cards and free or discounted coffee (though not always on September 29th for other countries), National Coffee Day is celebrated all around the world! Fair trade coffee is also heavily promoted on this day, along with raising awareness for troubles that coffee farmers face growing coffee berries. Though the exact origin of the holiday is unknown, National Coffee Day was first celebrated in Japan, 1983. 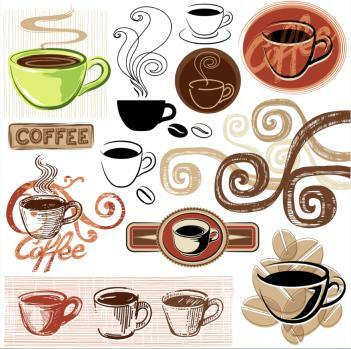 It wasn’t until 2005 that National Coffee Day was publicly announced in the US. So CoffeeCow Fans, we encourage you to join us - make sure you take that coffee break on Saturday and pay tribute to your favorite beverage! Don’t forget about FREE shipping on any size CoffeeCow.com order. K-Cups and Pods: Is There a Difference? People say K-Cups when they mean pods, pods when they mean K-Cups and the occasional fusion of the two (K-Cup pod or pod K-Cup). Question is - is there really a difference? K-Cups are small “cups” filled with coffee for Keurig single-serve brewers, king of the single portion coffee. Only K-Cups will fit in the Keurig, but it’s not unheard of to purchase pod coffee or tea, open the pod and use a My K-Cup reusable coffee filter to brew the pod coffee. To brew coffee or tea, the Keurig machine punctures two holes in the K-Cup (one in the top and one in the bottom), sends heated water through the top to the bottom and right down into your favorite mug. Coffee pods are like tea bags or sachets. These sachets are filled with coffee or tea for use in pod brewers or even directly in your cup! We suggest purchasing individually wrapped pods for freshness. Pod coffee is the most environmentally friendly of all single portion selections currently available on the market because both the filter and grounds are biodegradable and compostable. Brewed similar to K-Cup coffee, pod coffee is brewed with heated water passing through the coffee grounds and into your cup, no punctures necessary. 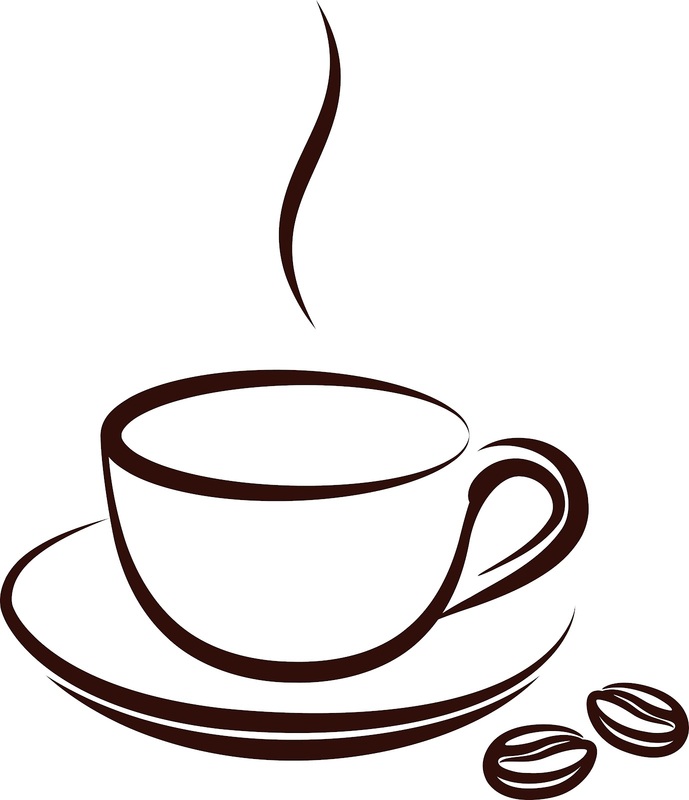 Browse our wide variety of K-Cups or pod coffee today at CoffeeCow.com! If you’re looking for that perfect cup of tea before bed but fear the effect that even the slightest bit of caffeine can have on your sleep, we may have a solution for you. Celestial Seasonings Sleepytime Herbal Tea K-Cups – do these K-Cups live up to their “sleepytime” name? We taste-tested (and sleep-tested) to find out! Celestial Seasonings’ Sleepytime Herbal Tea contains 24 single serve cups per box for use in your Keurig machine. Since it’s starting to get chilly outside, we just had to get cozy and ready for bed before beginning our testing! Once comfy in cow-print pajamas, it was time for a soothing cup of tea. As the Celestial Seasonings Sleepytime Herbal Tea K-Cup began to brew, we noticed the pleasant aroma of chamomile and spearmint filling the room and became instantly relaxed. Ah, we were already starting to feel sleepy! Once our Keurig machine was finished performing its magic, mugs were picked up & brought it in for that first sip. The steam caressed our faces as we tasted the tender floral flavor - this tea was incredibly soothing and just right. On a scale from 1-5, we rate this tea a 5! Celestial Seasonings Sleepytime Herbal Tea K-Cups passes our sleep-testing with flying colors and IS called “sleepytime” for a good reason. It lives up to its name because it’s a wonderfully tasting and smelling tea that will not keep you up at night. Add a dollop of milk or nothing at all - this tea is perfect any way you choose to fix it. Go ahead and inhale the pleasant aroma and exhale the worry when you sip on Celestial Seasonings Sleepytime Herbal Tea. Just be careful you don’t fall asleep with a partially full mug in your hands. Visit CoffeeCow.com to view a list of tea K-Cups today! It’s not just CoffeeCow that believes Keurig is excellent…the actual name “Keurig” means excellence in Dutch! Keurig began in the early 1990’s by two coffee-lovers with a vision, Peter Dragone and John Sylvan, and was then purchased by Green Mountain Coffee Roasters in 2006. As they say, the rest is history! Keurig is now king of the single serve brewers, all thanks to its patented K-Cup brewing technology. So, how does it all come together, making you a steaming hot cup of deliciousness every time? The K-Cup itself is a plastic cup consisting of a filter and coffee grounds. Once the Keurig is warmed up and you pop a K-Cup into the machine, two holes are pierced simultaneously - one on top of the K-Cup with a spray nozzle and another on the bottom with a discharge nozzle. A measured quantity of water comes from the spray nozzle and is forced through the hole at the top. The water passes through the coffee grounds and filter then comes back through the bottom discharge nozzle where you have your favorite mug, eagerly waiting. Visit CoffeeCow today to browse all types of Keurig brewers to satisfy your needs – even right down to the color! 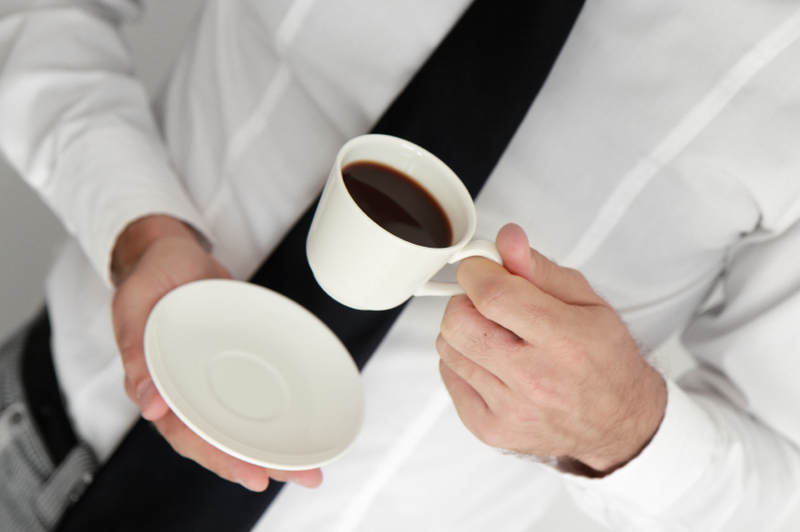 Are you experiencing negative side effects when drinking regular coffee? If you’re sensitive to caffeine, it may be time to make the switch to decaf. We’ve talked about the supposed benefits of caffeinated coffee, but what about decaffeinated – are there benefits to drinking decaf coffee, as well? Do You Believe These Decaf Coffee Health Benefits? Lower Risk of Type 2 Diabetes: Studies published in 2006 by The American Medical Association show those who regularly drink decaf coffee have a lower risk of developing Type 2 diabetes than those who do not regularly drink decaf coffee. The study found that the decreased risk was due to antioxidants and chlorogenic acid found in coffee. Chlorogenic acid seems to help keep glucose levels under control and may even aid in weight loss! Reduce Incidence of Cancer: Because of the antioxidants found in coffee, a report by MSNBC in 2007 explained that drinking decaf coffee may help prevent cancer, specifically colon cancer, by aiding in digestion. Another form of cancer decaf coffee may help prevent is breast cancer. The study mentioned there was also a decreased risk of breast cancer in women who drank decaf coffee on a regular basis. Decrease Fatalities from Heart Disease: Though studies are controversial, there has been a link made between drinking decaf coffee and a decreased chance of death from heart disease. Science Daily reported in 2008 on a study of middle-aged women decaf coffee drinkers which showed a 25% decrease in risk as a result. The conclusion: Decaf coffee, when consumed in moderation, may also provide health benefits similar to regular caffeinated coffee. Please visit our website and browse our selection of decaf coffee, including single serve coffee portion packs and drip coffee! It’s that time of year, again - when kids dread going back to school while their parents cheer. The outside temperature is getting cooler and the days seem shorter. Retail stores are already selling holiday merchandise. It’s the fall season! At CoffeeCow, we LOVE this time of year! It’s the perfect time for drinking a hot cup of coffee with delicious, mouth-watering flavors such as pumpkin, gingerbread and caramel apple. So, take it from us (and George Eliot) and start preparing for fall with these delicious fall flavors! Wolfgang Puck Oktober Spice Coffee Pods: With a hint of pumpkin spice, Wolfgang Puck Oktober Spice Coffee Pods help the autumn season roll in! This is a delicious, light-roast coffee that will compliment the picturesque fall season like a dream. Pumpkin Spice Cappuccino: If you love pumpkin, you’ll love 2 lbs. of Pumpkin Spice Cappuccino! If you work in an office that loves the flavors of fall, consider purchasing a case. 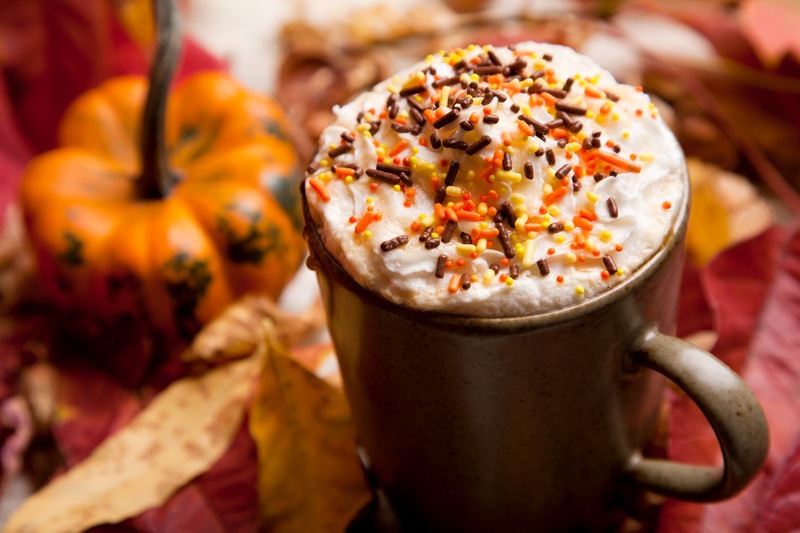 This coffee will give your employees/co-workers a boost while enjoying the flavors of fall. Weldon’s Cinnamon Coffee Flavoring: During the fall season, it seems like the smell of cinnamon is everywhere but in your coffee – but wait! With Weldon’s Cinnamon Coffee Flavoring, you can have the smell and taste of cinnamon in your coffee, too. Weldon’s Peppermint Stick Coffee Flavoring: Alright, we may be getting a little ahead of ourselves, but why not? With a flavor like Weldon’s Peppermint Stick Coffee Flavoring, who wouldn’t? This is the perfect flavor for winter! Enjoy the fall season, but it’s never too early to start preparing for the future. CoffeeCow encourages you to enjoy the season with a flavorful cup of coffee! If you’re given the title of “King,” it’s a clear indication that you rule at something, right? 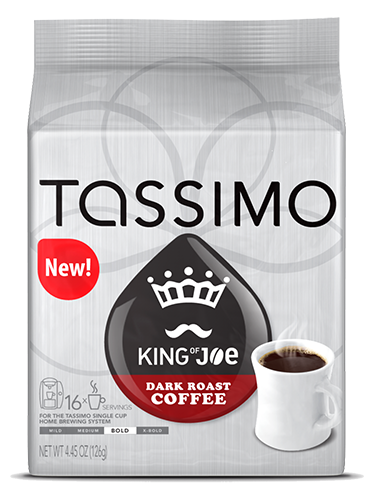 We’re taste testing Tassimo’s King of Joe Dark Roast T-Discs today to see if this king rules over other dark roasts. The question is - will this King of Joe live up to his title? Tassimo’s King of Joe Dark Roast contains 16 T-Discs per box. Each T-Disc brews a single 8-ounce cup for your Tassimo coffee maker. 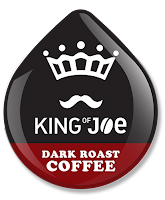 Your sense of smell will be the first to experience this King of Joe! Once brewed, the aroma reveals a slight smokiness and hint of charred wood that mingles with a very mild, syrup-like bouquet and blends with a delicate scent of walnuts and toast. Overall, the aroma is inviting and will leave you looking forward to your first sip. 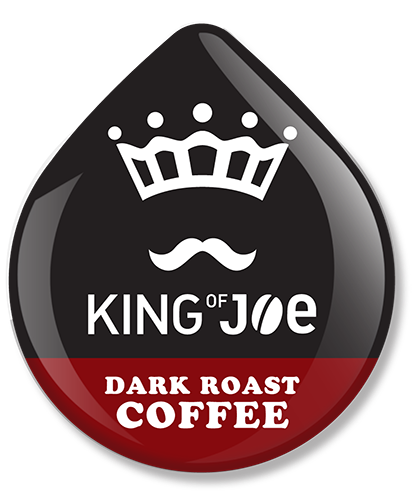 With your sense of sight, hold your freshly brewed cup of King of Joe Dark Roast coffee up to the window and allow the morning sunlight to shine through! Dark amber and brown tones will further entice you to taste this dark roast coffee. Finally taking that first sip, you’ll notice the coffee has a medium to medium-thin mouth feel. This means that it isn’t thick and creamy like some coffees but isn’t too thin or watery, either. In a word, well-balanced describes this T-Disc to a tee. These dark roast T-Discs are slightly sweet with light acidity and saltiness that finishes with a very mild charred flavor. On a scale of 1 to 5, we rate this coffee a 4. It’s not as robust and dark as the Tassimo Gevalia Dark House Blend or the Tassimo Gevalia Dark Italian Roast, but it is a good daily morning wake-me-up. This package also provides twice as many T-Disc’s as the Gevalia Dark House Blend or the Gevalia Dark Italian Roast. Tassimo King of Joe Dark Roast T-Discs may not be the best choice for the diehard dark roast coffee drinker, but it’s a great choice for a coffee lover on an average morning. It’s proven to stimulate the senses while providing a lot of body, flavor, and finish - making this coffee a great-tasting daily starter! The answer to the question will this King of Joe live up to his title is YES! Tassimo’s King of Joe Dark Roast T-Discs will continue to reign for another day. Check out CoffeeCow.com for more single serve coffee choices. Do you sometimes rely on reviews and referrals to make a final decision on a product or service? #5 - Emeril’s Big Easy Bold Coffee K-Cups: Celebrity Chef Emeril Lagasse’s gourmet coffee is so heavenly that it’s no surprise Emeril’s Big Easy Bold Coffee K-Cups come in at number five on our most popular K-Cup list! Whether you need a kick start to your day or a pick-me-up to get through it, Big Easy Bold K-Cups are a fabulous choice. If you enjoy bold, intense coffee, we highly recommend these K-Cups for your CoffeeCow.com shopping cart. #4 - Green Mountain Nantucket K-Cups: Coming in at number four, Green Mountain Nantucket K-Cups will instantly transport you to the island of Nantucket, MA! With a striking mix of flavors, Nantucket Blend K-Cups are known to delight the senses. 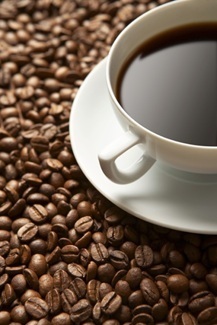 Go ahead CoffeeCow fans, kick back and relax with this full-bodied coffee. Don’t forget to send us a postcard! #3 - Green Mountain Dark Magic X-Bold K-Cups: Ready to be spellbound? Green Mountain Dark Magic X-Bold K-Cups will captivate your senses as our third most popular K-Cup product! Remember to add this extra bold roast to your CoffeeCow.com shopping cart and begin to brew your own magic. #2 - Coffee People Original Donut Shop K-Cups: Announcing the runner up as CoffeeCow’s most popular K-Cup, please welcome Coffee People’s own – Original Donut Shop K-Cups! There are no surprises with this K-Cup, just the old-fashioned coffee taste you love. As dependable as Donut Shop K-Cups are, they’re a must-have for your coffee arsenal. #1 - Green Mountain Breakfast Blend K-Cups: The winner is……Breakfast Blend K-Cups from Green Mountain Coffee Roasters (applause)! It’s not a shock that the number one K-Cup product at CoffeeCow.com is from Green Mountain Coffee. The fact that three out of the five on our most popular K-Cup list has the Green Mountain Coffee label pays tribute to how good this coffee truly is. That’s why we encourage you to wake up to Breakfast Blend K-Cups. Where would these K-Cups be without Keurig? We imagine that Keurig would be the first acknowledged in an acceptance speech from any one of these marvelous K-Cups. If you are ready to experience all that Keurig has to offer, check out our selection of Keurig single serve brewers today! Some people love their coffee just as it comes out of the pot – plain and black. But many people add sugar or other sweeteners as well as milk, cream or non-dairy creamer to make coffee a more palatable and enjoyable beverage. But what we can explore is non-dairy creamer and how it stacks up to its competition. Where Did Non-Dairy Creamer Come From? Let’s start by defining cream. Plain and simple, it’s the layer of butterfat on top of raw milk. Non-dairy creamers were developed in order to accommodate people who wanted cream in their coffee but were not able to consume milk for one reason or another (most commonly lactose intolerance and those following a Vegan lifestyle). A product called “Pream” was among the first powdered creamers to be mass marketed. Watch a Pream TVcommercial. Despite the claims made in that commercial, Pream unfortunately did not dissolve very easily. Made from sugar and dehydrated cream, the milk proteins made it difficult for it to dissolve. Next came a product that we all know and many people love: Coffee-Mate. Around since 1958, Coffee-Mate dissolves much more easily than its predecessors due to alterations in the ingredients – a reduction of the milk protein and the addition of vegetable oil in place of milk fat. Are Non-Dairy Creamers Truly Dairy-Free? This is another loaded question, but the answer is…sometimes. Many creamers marked non-dairy contain no lactose, but some do contain a milk protein called casein, which is added to enhance the flavor and texture of non-dairy creamer. Casein can potentially cause a reaction in some people who are lactose intolerant, and others are specifically allergic to casein itself. Also, the presence of casein means that some non-dairy creamers are not technically vegan. Always carefully read product labels and understand exactly what you’re buying. Does Non-Dairy Creamer Last Forever? Definitely not! While non-dairy creamers (both liquid and powdered) do have longer shelf lives than milk or cream, they DO have expiration dates. Again, be sure to carefully read the packaging for “best by” or “use by” dates. Whether you love milk, cream, or non-dairy creamer, the good news is that there are loads and loads of options out there – from whole milk to skim, from regular cream to fat free half-and-half, from plain Coffee-Mate to Coffee-Mate Belgian Chocolate Toffee! Did you know that coffee has its own language? Okay, not really, but sometimes trying to pronounce coffee regions and a few of the less common coffee varietals can leave you feeling like you’re back in high school French class. Don’t be discouraged! CoffeeCow.com is here to the rescue, providing you with a quick and easy tutorial. Now that we’ve covered regions, let's learn how to pronounce varietals, or types of coffee. Bourbon - Arabica coffee from Réunion, Rwanda and Latin America. Caturra - Arabica coffee from Latin and Central America. Catuai - Arabica coffee from Latin America. Pacas - Arabica coffee from Latin America. Now you can impress all your friends by correctly pronouncing the regions and varietals. You can also impress your friends with our variety of coffee products! If we ever met Julianna Marguiles, we would tell her that there is no such thing as too much coffee! "I have measured out my life with coffee spoons." Just wanted to share our original artwork and this quote from T.S. Eliot! 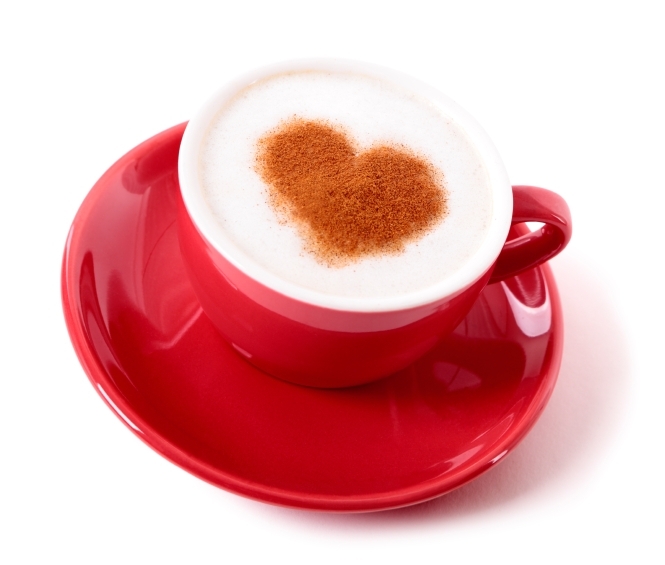 Top 5 Reasons To Keep Drinking Your Coffee…Maybe! 1. Caffeine Linked to Lower Skin Cancer Risk: A new study published in the Cancer Research Journal earlier this month claims that drinking 3 or more cups of coffee a day can decrease your skin cancer chances by 20 percent! The study followed approximately 113,000 coffee drinkers to reach these findings, but they’re still inconclusive. Though the research on this claim continues, the results they’ve documented are promising. 2. Coffee May Help Slow Age-Related Muscle Deterioration: Coffee helps to wake our minds and bodies, but is it possible coffee may help maintain our muscles by slowing deterioration as we age? Tests performed on mice look promising enough that human testing may be in our future! By giving caffeine to mice of differing ages and measuring progress, sports scientists did find improvement over mice that were not given caffeine. We think they were probably pretty alert and productive, too. 3. Coffee Lowers Depression Risk In Older Females: According to a report from the Harvard School of Public Health within the past year, analysis of over 50,000 women over a period of 24 years showed a decreased risk of depression. Analysts actually tried to predict who would have depression later in life by looking at a cumulative time period within the 24 year study! With a statistic of 1 out of every 5 women in the United States who suffer from depression, hearing that coffee may help lower the risk of depression is a wonderful thing. 4. Drinking Coffee May Help Prevent Alzheimer's Disease: Published early last month in the Journal of Alzheimer’s Disease, a study conducted by researchers of the University of Florida and the University of Miami shows that drinking coffee may help prevent/delay the onset of the Alzheimer’s disease. Researchers say that older adults who have mild memory impairment and drink coffee are less likely to develop dementia. With Alzheimer’s attacking an estimated 6 million Americans, the study raises hope for the fight against this incurable and deadly disease. 5. Coffee Might Actually Help Your Heart: Researchers found that people who drank 2 cups of coffee a day had a lower risk of heart failure than those who did not drink coffee, but they emphasize that moderation is key. Analysis of data from 2001 to 2011 of over 140,000 people in Sweden and Finland yielded these findings, claiming that those who drank coffee were 11 percent less likely to have heart failure. Besides that, they also found that drinking coffee may also protect against other illnesses and even improve exercise performance! What do you think – is caffeinated coffee really the super food it’s touted to be? In the end, coffee and other caffeinated beverages in moderation may actually benefit you in the long run. There’s still more research to do, but we think these studies are on the right track. Who knows? 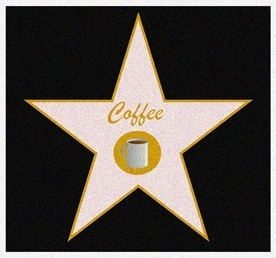 Maybe coffee will get recognition for curing something other than sleepiness. Cure your sleepiness with fresh coffee from CoffeeCow.com today! Ready to trade in your traditional drip coffee brewer for a single serve coffee maker? Confused by all the options? CoffeeCow.com is here to make the process easier by helping you find your perfect single serve coffee maker! Tassimo single serve coffee makers utilize T-Discs and have a wide range of brewing capabilities, from brewing a real espresso to milk-based lattes and cappuccinos. If you find that Starbucks is like your second home, a Tassimo brewer may be the right fit for you. With its boutique coffee drinks and a price range from $100 to $200, you’re getting quite a brewer for your buck. LavAzza Espresso Point, aka the brewer that brings the taste of Italy to your morning cup of coffee. This single serve brewer takes beverage capsules and is also in the $100 to $ 200 price range, which is way cheaper than a plane ticket to Italy. The LavAzza Espresso Point brewer has a unique capability in that it can even make vegetable broth! What will they think of next? Welcome to the world of luxury and efficiency! LavAzza Blue coffee makers utilize pre-programmed one-touch buttons, so making coffee in this single serve coffee maker is even easier. This machine also uses capsules and is equipped with a one-gallon tank and a steam wand. LavAzza Blue has been described as the new frontier of the single serve coffee maker. Single Cup Coffee Brewer Comparison - Click to enlarge! Dolce Gusto single serve coffee makers have the most variation for the lowest price – you’re able to snag one for between $70 and $200. Like LavAzza brewers, Dolce Gusto also utilizes capsules. This coffee maker’s uniqueness lies in the Custom Control Lever, giving you even more control over your coffee without added effort. One of the most popular & well-known brands, Keurig single serve coffee makers have quite a following. Keurig’s K-cups provide convenient, gourmet coffee at your fingertips. Keurig also offers the widest variety in coffee beverages – if you can’t seem to make up your mind, try one of each! The cost for these single serve brewers can range anywhere from $70 - $300. If you’re looking for a simple, no frills single serve coffee maker, we’ve got you covered there, too! Pod brewers can make both hot tea and coffee. Price ranges anywhere from $70 - $200 and great for the environment, as these Pods are also recyclable! With such benefits as ease of use, convenience and the taste of a freshly brewed cup of coffee every time, single serve coffee makers are on the rise and still rising. The chart above will aide in making your search a bit easier. Good luck finding your perfect single serve coffee maker & please contact us for more information. We’d be happy to help you with your quest to find your one true brewer! How do I clean/descale a Keurig coffee maker? This is an important question – one that we’re asked all the time – so we thought it was time to address it! It is important to properly maintain your Keurig coffee maker and regular cleaning helps your Keurig stand the test of time. Think of washing your brewer as you wash your clothes – some are machine wash, hand wash or dry clean only, not to mention different colors! You don’t usually throw a mixed load of clothes in your washing machine without first sorting the colors and knowing the care instructions on the labels. This applies to cleaning your coffee maker as well, since throwing your entire coffee maker in the dishwasher is definitely not recommended! We suggest reading all the instructions that Keurig provides for your coffee maker. According to Keurig, a soapy, damp and non-abrasive cloth should do the trick when it comes to surface cleaning. Certain removable parts are dishwasher safe; others are not and need to be hand-washed. Keurig also gives you step by step instructions on how to remove and clean the K-Cup holder. At CoffeeCow.com, we suggest following Keurig’s recommendations on the descaling of your coffee maker. Depending on water type (e.g. high mineral content), usage and performance, your Keurig coffee maker should be descaled every 3-6 months. Though harmless, scale will hinder the performance of any brewer, and will even affect the taste of your coffee. Fear not! The solution is as easy as it comes – white vinegar. Simply run a vinegar rinse followed by a fresh water rinse, and voila! You’re back to great tasting coffee out of your high performance brewer. Keurig also offers detailed descaling instructions on this process. For more information on how to properly care for your Keurig brewers, check out these userguides. Don’t forget to visit CoffeeCow.com todayto see our full list of coffee products! Coffeecow.com was developed by a small group of coffee professionals who have over 37 years of experience in fulfilling any coffee service need. Last year CoffeeCow.com customers enjoyed over 26 million cups of our great coffees and teas, so whether it is from the comfort of your home or your corporate office, Coffeecow.com has it all.